Kodiac came to me at a time, after the loss of my very beloved Caz, when I needed comfort and companionship. He gave me those things and more. 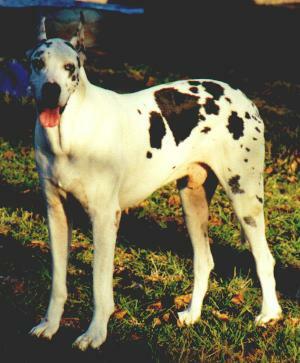 He is an exceptionally intelligent dane and quite the gentleman. He enjoys obedience work and also works as a therapy dog at Missouri School for the Deaf. He won the Nationals in Grad. Novice in 1994 with a score of 191 1/2. He won Grad. Novice again at the Nationals in 1998. He is currently retired from the obedience ring. He was bred only once to Elm's Lady Windsor V Vindane and produced Int. Ch. Liberty's Chelsea V Vindane CGC, TT and Liberty's Contessa V Vindane CD, CGC. The girls can be seen on the girls page. 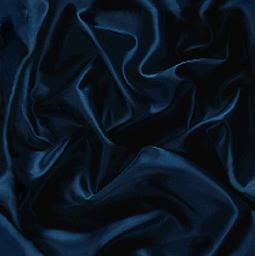 He passed on his intelligence, temperment, shoulder, front, and topline. We are currently working on a musical freestyle (just for fun). 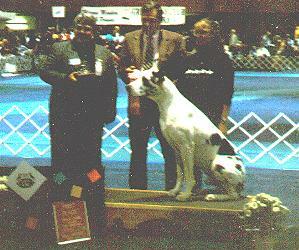 Kodiac accepting his trophy at the 1994 Great Dane Nationals. Kodi at 7 1/2 years young. "Zac" "Caz" "Chisolm" "Levi" "Tut" "Deus" "Jackson" "Scotty" "Sheridan"